Here we are sharing Top Ten Pakistani Actress that have gained the name in showbiz with their work and dedication. The name of Lollywood in not only appreciated in Pakistan but also in India. The cuteness, smartness and dimple facebook of Pakistani Actress are making them more prominent in fashion world. Sajal Ali is one of the cute and young looking model of Pakistani, some time she looks like teen girl and having very low age. She is base from Lahore, Pakistan. She worked in new movie Zindagi Kitni Haseen Hay as Maira Khan. 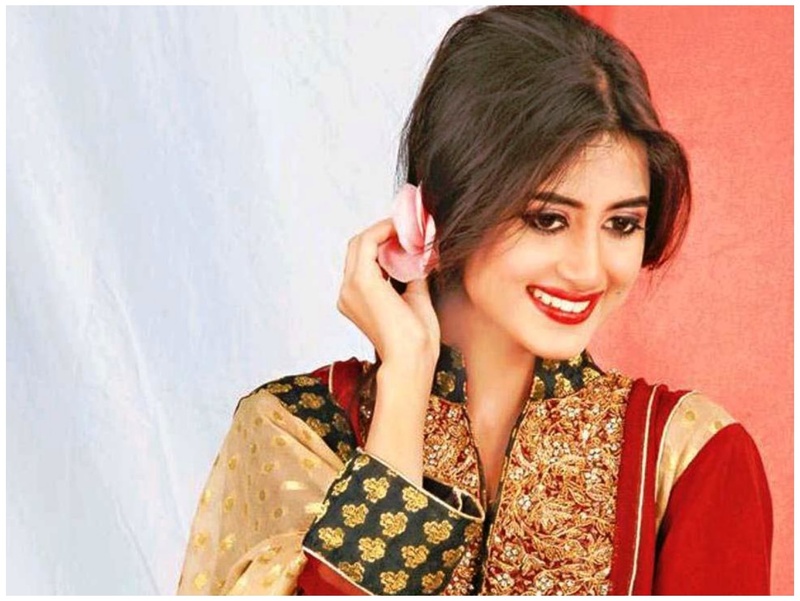 Sajal Ali’s famous dramas include Mehmoodabad Ki Malkain, Quddusi Sahab Ki Bewah,Khuda Dekh Raha Hai, Meri Ladli and Zindagi Kitni Haseen Hay ad Best dramas in Pakistan. Mehwish Hayat is a also famous Pakistani actress, model and beautiful singer having nice songs in lollywood. He also worked in movies and her bet know film is “Na Maloom Afraad” having largest gross collected in Pakistan. She borned in Karachi, Pakistan. 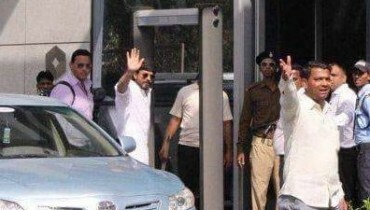 Here upcoming movie is “Main Punjab Nahin Jaoongi”. 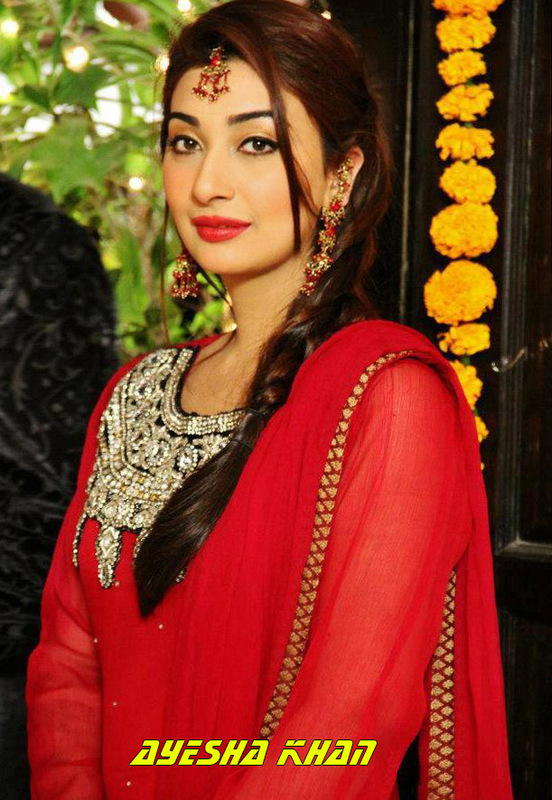 Ayesha Khan is top Pakistani television and film actress with innocent beauty. She born in 27 September 1982. Her debut drama serial is “Tum Yahi Kehna” which aired on PTV and gained much appreciation. Ayesha Khan also performed in movies like Waar, Abhi Toh Main Jawan Hoon and Jawani Phir Nahi Ani in 2015. She is also Miss Veet Pakistan as hostess. Mawra Hocane or Mawra Hussain is emerging famous Pakistani VJ, model and actress having a exclusive glamour among photographers and Pakistani showbiz industry. She born in Karachi, Pakistan. She altered the spelling of her family name from “Hussain” to “Hocane” to make him unique identity. Mawra Hocane performed as a theater artist before working as a VJ at ARY Musik TV. Once she tweeted about the Bollywood movie Phantom, which was banned in Pakistan and she was with great target of a social media harassment. She is working these days in drama Sammi and Tharak La Ilaj Hai. Ayesha Omer is a famous Pakistani actress, model and a singer. 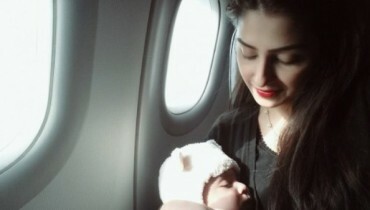 Pakistani actress and model Ayesha Omar belongs Lahore, Punjab, Pakistan. Ayesha is well know by the role as Khoobsurat in Bulbulay, ara in Zindagi Gulzar Hai, Arzoo in Tanhai, Natasha in Ladies Park, S and Aleena in Dil Apna Aur Preet Parai. Her single song “Chalte Chalte” and “Khamoshi” have commercial success in Pakistan. Ayesha Omer went on to win Lux Style Award for Best Album of the year. She have played a good role in Main Hoon Shahid Afridi. Her upcoming lollywood movies are Yalghaar, Waar 2 and Rehbra in Year 2017. All past tv drama’s lover know who is Mahnoor Baloch. Yes Mahnoor Baloch is a Pakistani actress, model and film director. She is old but have good name in the list of Top Ten Pakistani Actress. Her debut drama serial is Marvi from year 1993. She born is July 14, 1970. She is still cute smart and young looking with dimple face. She also worked in films Main Hoon Shahid Afridi and Torn in 2013. Aamina Sheikh is Pakistani fashion supermodel, TV and Film actress having lot of talent for his lovers. The model Aamina Sheikh born in August 29, 1981 at New York City, USA. She married with Mohib Mirza in 2005. Here movie included Love Mein Ghum, Seedlings, Armaan, O21, Josh: Independence Through Unity and Good Morning Karachi. She have won many award of Best Emerging Talent, Best Dress Female,Best Film Actress and Best Supporting Actress in Lux Style Awards, Tarang Housefull Awards and New York Film Festival Awards till so far. Sanam Baloch is a well know dimple Pakistani actress and television host & presenter. Sanam has entertained many famous morning TV shows such as Sanam Small Room and Diyoo on KTN. These day she is hosting morning show on ARY News. As Pakistan actress, she has apeard in drama series such as Dastaan and Durr-e-Shehwar. She also played the role of Marium Mukhtar telefilm Ek Thi Marium. Sanam Baloch married with Abdullah Farhatullah in 2013. Sanam Baloch have also winned many Pakistan Media Award and Lux Style Awards till so far. Saba Qamar Zaman is a cute and slim Pakistani film and television actress and a good host. She born in April 5, 1984 at Hyderabad, Pakistan. she made her film debut in movie Main Manto directed by Sarmad Sultan Khoosat in year 2014. 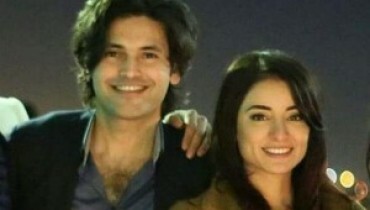 Saba appeared in the spin-off to Karachi Se Lahore called Lahore Se Aagey. It was declared that Saba Qamar will make her debut in Bollywood in Hindi Medium opposite Irfan Khan. 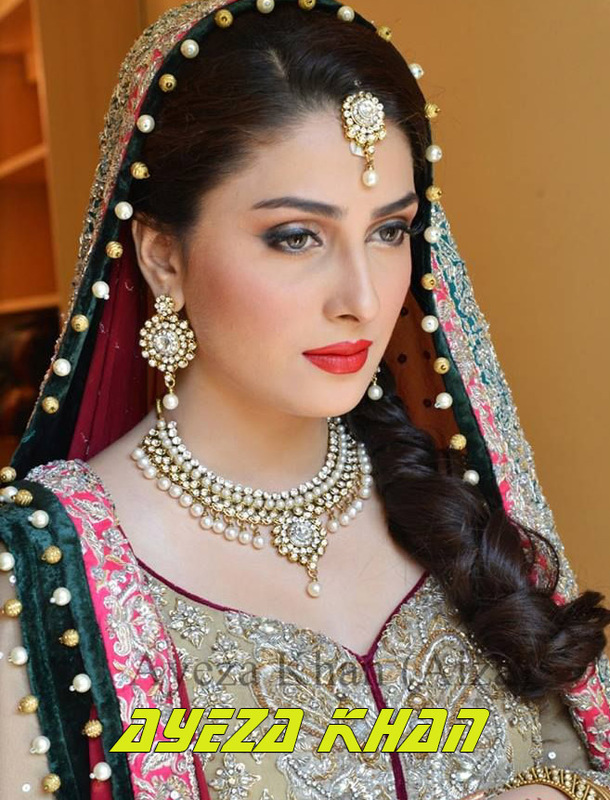 Ayeza Khan is also cute and talented young actress born in 15 January 1991 act Karachi, Sindh PK. 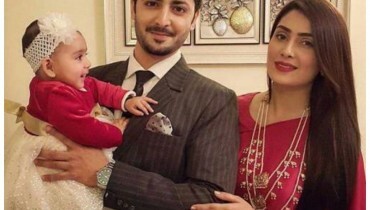 She married to Danish Taimoor in year 2014. Ayeza’s acting careed began at the age of 16. She make her debut with a supporting role in the romance Tum Jo Miley, by Hum TV. She got the height of success from drama serial Pyaray Afzal adn get Best TV Actress by 14th Lux Style Awards. She is acting these days in drama serials Teri Meri Love Story, Tum Kon Piya, Shehrnaz and Muhabbat Tumse Nafrat Hai. Mahira Khan’s full name is Mahira Hafeez Khan. She born in 21 December 1984 at Karachi, Sindh, Pakistan. She is top one Actress, VJ Model and film star that is also working in bollywood. She come first in Top Ten Pakistani Actress you see because she is these days admired by bollywood king Shahrukh khan for his good work in their region. Her a career in got several awards, including top three Lux Style Awards that speaks her success. Mahira Khan married to Ali Askari in 2007 and divorced in 2015. Mahira Khan movie Bol make up her most successful lollywood actress. Then she also worked in Bin Roye, Manto,Ho Mann Jahaan and Actor In Law. Mahira Khan upcoming movies are Raees and Verna that are coming next year 2017.